The days leading up to the publishing of Resource Revolution, a research paper which I co-authored while at the McKinsey Global Institute, I began to take stock of our work. What started off as a three month commitment ended up taking ten months of my time to fully bring to fruition. As leader of the team completing all of the analysis, I was double checking our analyses and fact checking any references we cited. I was nervous given the audience our work would reach. At the same time, I was giddy with excitement. Helping to write the report was the most memorable and rewarding experiences of my career. We were about to go public with the report and launch a campaign to help share our findings. The hardest, most challenging effort we undertook was our work on the food supply chain. It was research that hadn’t been pulled together before. With that hard work came a some very fascinating insights, one of which stood out among others. Too much food is wasted in the world. It’s tough to pin down the exact numbers but its somewhere close to ⅓ of all food grown ends up not being eaten. Solving it will be one of the biggest resource productivity opportunities we face today, that one ⅓ of food wasted is worth $750 billion annually. Not nearly enough attention is focused on solving this issue. I have worked in the food business my entire life. Starting off in fast food, then moving to C&S Wholesale Grocers, the largest food distributor in the United States, I’ve come to appreciate the complexity and speed that the food supply chain operates. I joined C&S because they grew from $500 million in revenue to $20 billion in revenue in just 18 years. I wanted to see what being part of a fast growing business would be like. I spent the first month as a warehouse selector, learning the front line role in the business. Later, I helped run warehouses, manage a large procurement team, and take a role as the Chief of Staff to the CEO. C&S helped me learn what it means to manage an operation. I saw the value of discipline and clear management process while appreciating the day-to-day challenges an operation faces. Later, as I worked for the US Green Building Council, I began to seek out opportunities where business sense and environmental sense matched. I was inspired by a movement in the real estate industry to build greener buildings not just for the environment, but because they were better to live in and had higher tenancy rates. After INSEAD, when I joined McKinsey, my focus was a marriage of the two disciplines: helping strategically support food manufacturers and retailers while leading research on sustainability. What is driving the 11 year commodity boom from 2000 to 2011? What can be done to meet our natural resource needs over the next 20 years? If you look across all resources, what are the biggest opportunities for improved productivity? From this research, we came to understand that there are real structural drivers behind the 11 year spike in commodity prices. Underneath it all is a huge growth in the middle class leading to one of the biggest increases in natural resource demands we’ve ever seen. Surprisingly, when you look across the big opportunities in resource productivity, you find some well known challenges like building energy efficiency and industrial energy efficiency. However, a few big challenges surfaced that are not considered. In terms of potential cost savings, food waste was one of the top 3 opportunities globally. Yet very few people at the time were considering the issue. With these beliefs, Kevin Duffy and I founded Winnow. 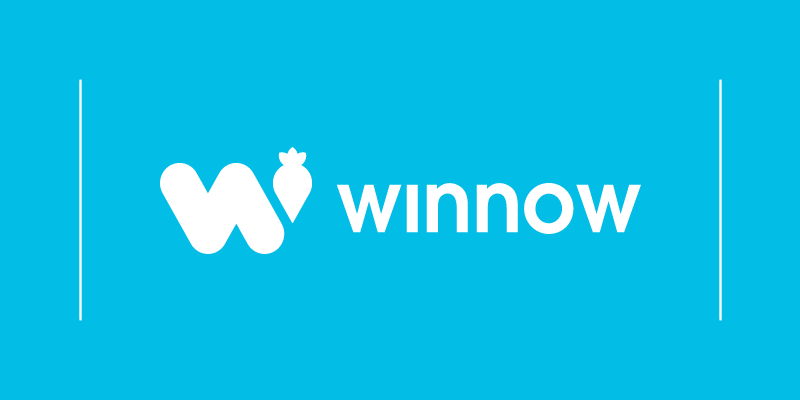 We founded Winnow in search of solving a problem - to enable companies to prevent food waste. Preventing food waste makes business and environmental sense. In fact its one of the most cost effective investments you can make to reduce your carbon footprint. We believe that putting better information in the hands of operators can empower them to make a difference. Simply put, we believe food is too valuable to waste and that technology can help us solve this problem. Founding a company to solve a problem rather than to build a product presents you with a set of interesting challenges. As a founder, you are open to the potential solutions for the problem. You are willing to experiment and trial different methods. You continue to keep an open mind to how your product might evolve while keeping sharp focus on the problem at hand. Shortly after Winnow was founded, we built a prototype of our system for my old staff restaurant. We simply taped a tablet and a scale together and began using the tool to monitor all waste generated in the kitchen. Based on the data we gathered, we met with the chefs to ask why the waste was occurring and think through how to reduce it. The results were incredible. We cut food waste by 70% in two months. Small, simple changes led to a significant impact. However, the awareness built in the minds of staff and the teamwork it helped to engender suggested we were onto a real opportunity. Over the next 18 months we refined our system to be robust, more user friendly, and sharpened our analytics. Some of the challenges we faced required just a bit of common sense. Others required some deep problem solving and have even led us to file patents for what we’ve built. To date, we have implemented our system at nearly 100 sites and saved companies just under £1 million in food costs. We have proven that our system is both a sound investment, Clients adopting our system are getting a payback on their investment in 2 to 6 months. We are now demonstrating that our system scales across an organization. Along the way, we’ve had some incredible people join Winnow to help us make our vision a reality. Our common passion for food, technology, and people is helping us build momentum. It’s been a long road so far but in so many ways we are just getting started. In the UK alone, the hospitality industry wastes £2.5 billion each year. We’ve only helped solve a tiny fraction of the problem so far – we have a long way to go. We are also looking to connect with other companies interested in solving the problem of food waste.